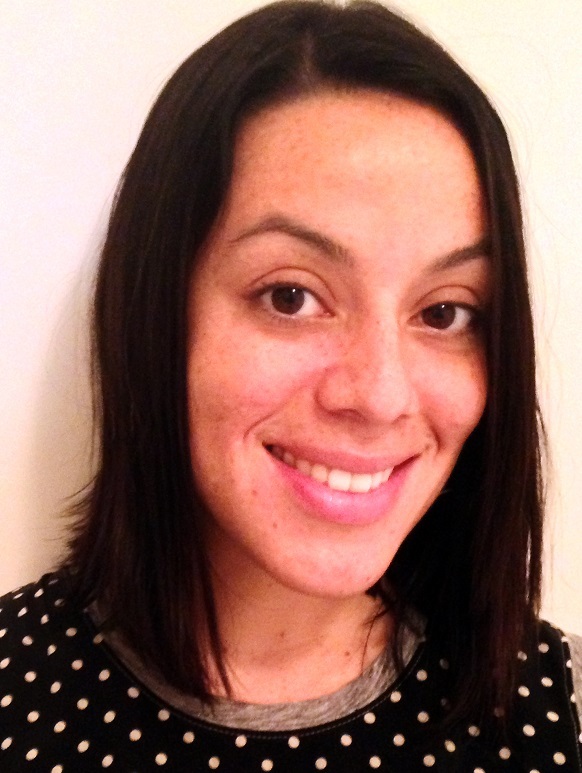 Alidis Vicente is a mother of two from New Jersey. 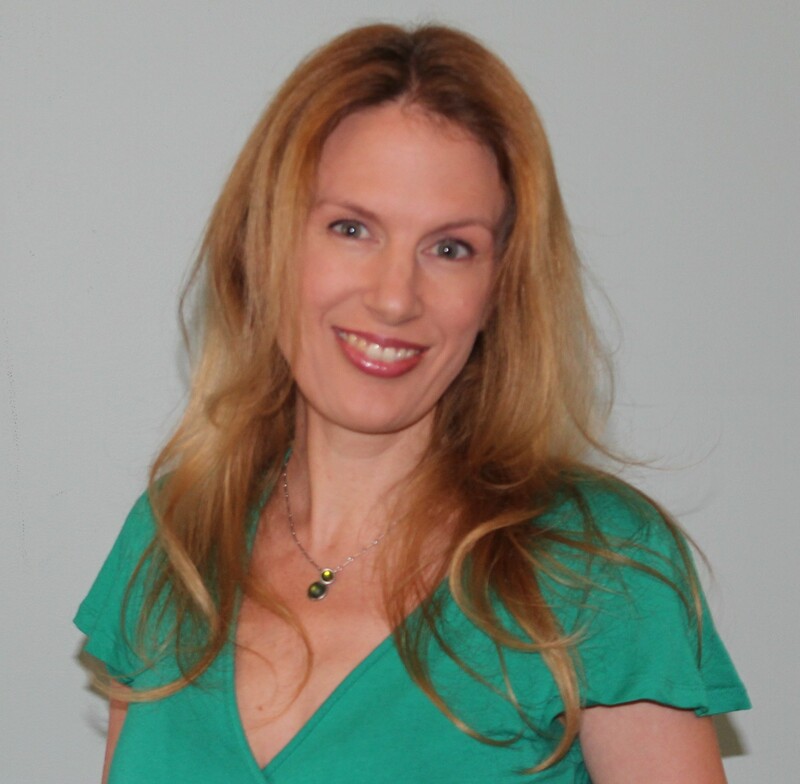 Currently, she is employed at a Montessori Preschool where she enjoys shaping the minds of young children. She is also a Rutgers University alumni who is returning to her alma mater as a graduate student in the Rutgers School of Social Work. Alidis, the original Detective Flaca, continues to write stories from her New Jersey home, only now she uses a laptop instead of a notepad… at least most of the time. In 2008, I gave birth to my first child and became a stay at home mom. Turns out, leaving your career and staying home is really, really hard! The turn of events was difficult financially but more so on my psyche. I felt part of who I was had been lost. My new identity was “Joaquin’s mom”. In order to help adjust to the transition, I began to do what I had done my whole life when troubled. I wrote. A lot. I soon found myself writing stories and seedlings for what turned out to be future books. After a few years I thought, “Why not try to publish these?” Everyone told me how difficult it would be and how many years I might waste on an unlikely publishing dream. Luckily, I’m a fighting bull. I guess it’s no surprise I’m a Taurus! I researched endlessly online, joined SCBWI (Society of Children’s Book Writers & Illustrators), mailed avalanches of queries, and eventually got my first publication offer in 2011 from a small nonprofit publisher called Operation Outreach USA. 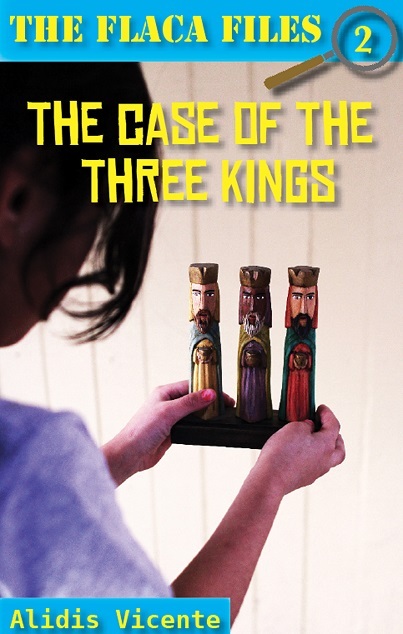 My latest bilingual flip book, The Case of the Three Kings, is the second story in the Flaca Files series from Piñata Books. 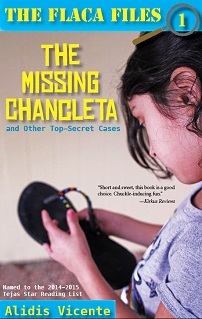 The protagonist, Detective Flaca, is a young Latina sleuth who is full of pizazz and feistiness. She stops at nothing to solve her cases, the most recent of which is recounted in The Case of the Three Kings. Flaca’s family surprises her with a trip to Puerto Rico to celebrate Three Kings Day. The Detective senses suspicion at the thought of ancient kings on flying camels distributing gifts to select children around the world, and is determined to prove it’s a sham. However, she soon learns there is just as much to uncover about the unfamiliar holiday as there is about herself. My work environment is terribly unexciting. I have a desk in my bedroom but find it uncomfortable to sit in a chair for hours at a time. So, I write on a laptop in my bed. My typical day consists of being woken up by my toddler at 6:30am, because despite being the youngest and smallest in the house, he apparently requires the least amount of sleep. The rest of the daytime and evening hours are spent taking care of my kids, working part time, preparing for graduate school, and managing a household. Due to the hustle and bustle, I don’t get to write until about 9pm when everyone else in my house is asleep. It actually works out though, because I need to be completely isolated and undisturbed to concentrate on writing. I like to be in darkness and silence so I can hear my thoughts. Some writers feel it essential to write daily. I can’t force myself to work in that way. It’s simply unproductive for me. I need to feel inspired and motivated otherwise what I write won’t reflect my best efforts. Random things set off sparks in my brain. It could be something someone said or a flicker of an idea I want to get rolling. Whatever it is, once I start writing I will continue for hours until either my fingers or brain give out. I guess the writing train just comes in waves for me. I’m an all or nothing kind of person. Writing keeps me sane and grounded. Quite frankly, it is my means of stress relief. I don’t work out (even though I should), play sports, or partake in many conversations with people over the age of seven. Without being able to express myself or create alternate literary realities through my writing, I would be a much more overwhelmed person. Being a writer allows me to enter a creative and mental zone I have never experienced in any other realm of life. Kids! I’d like to think I teach my children and students many things, but the truth is they teach me much more. Children make observations and are in tune with laughter and inquisitiveness in a way many of us aren’t as adults. The things they point out to me are fascinating. I always aim to use their humor and childlike wisdom in my work. Personally, I find marketing and networking to be the most challenging part of being an author. I’m slightly introverted by nature. It feels unnatural to me to promote my work, blog, tweet, etc. I need to work on coming out of my shell a little more. I wish I had known that I will always need to be my biggest cheerleader. As a writer, you will find people who love your work, others who criticize it, and several who will doubt your success. While campaigning for support, it’s easy to forget to support yourself. This is a good one. I would love to write books with Latino flare that are mainstream crossovers, kind of like Skippyjon Jones. We Latinos have such a beautiful, colorful culture. I want to share it with the world. I love J.K. Rowling, R.J. Palacio, Doreen Cronin… Can you tell I only read children’s books? I’d love to see R.J. Palacio interviewed. I’m a huge fan of her work.